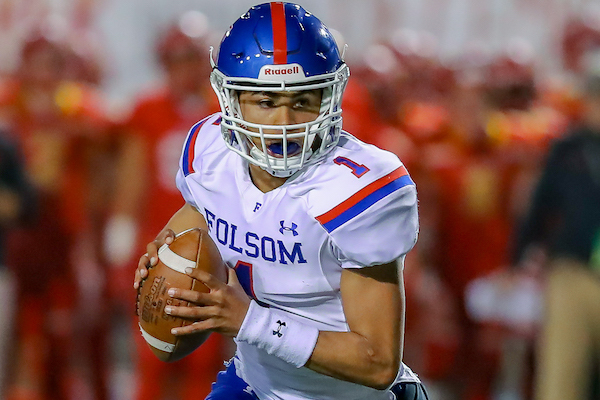 No player was more potent in 2018 than Folsom High’s Kaiden Bennett. 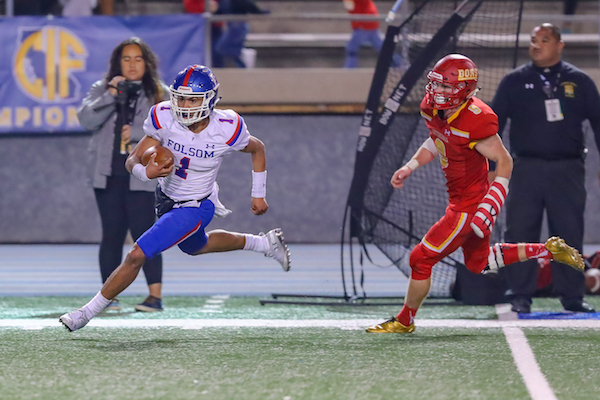 VIDEO: Click to view Steven Wilson’s highlight video from Folsom’s CIF 1-AA State Bowl win over Cathedral Catholic. In his second year as the varsity starter, Bennett accounted for 75 touchdowns — second most in the state. He completed a career-best 73 percent of his passes while posting more than 4,000 yards in the air and 568 yards on the ground. He accounted for more rushing yards in his career than any other Folsom quarterback (2,137). But he proved he could sling it with the best of them, too. He leaves the school as the second-leading passer all-time (11,049 yards) behind Jake Browning (16,775). Much of that success came in 2018. Bennett had his best season in the pocket. He threw for 62 touchdowns and had just five interceptions in 301 attempts. His 19.2 yards-per-completion topped his junior season mark of 16.8. His 148.3 quarterback rating was 18 points higher in that same span. But beyond the stats and accolades, Bennett was most satisfied with his team’s final outcome: A second-straight state bowl championship. Bennett threw for 261 yards and two TDs and added 137 yards and a third score on the ground against Cathedral Catholic-San Diego in the CIF D1-AA State Bowl. 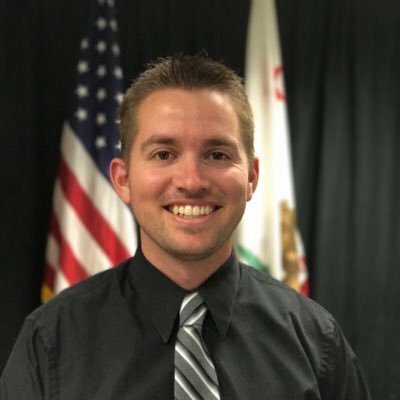 His big night led to him becoming the first player in CIF State history to earn MVP honors in two-straight state bowl games. Bennett is one of a handful of Division I-bound players from this year’s Bulldogs’ squad. He joined the Boise State program and is one of the few players whose journey is already underway. 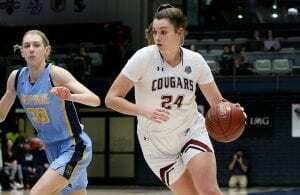 A three-star recruit according to 247sports.com, Bennett had offers from 11 schools. He signed with the Broncos just a few days after claiming his second state championship ring. The transition to Idaho takes Bennett back to his roots. The young QB is originally from Reno, Nevada. Which makes him used to snowy conditions and cold winters. He’s training with his new team now, getting set to play against a new level of competition.